You can’t turn on the radio these days without hearing the familiar bass drop and plucky guitar of “Uptown Funk” by Mark Ronson and Bruno Mars. While the song was released late in 2014, it’s upbeat, summery-feel, that sounds like it came straight from the playbook of Prince or Stevie Wonder. 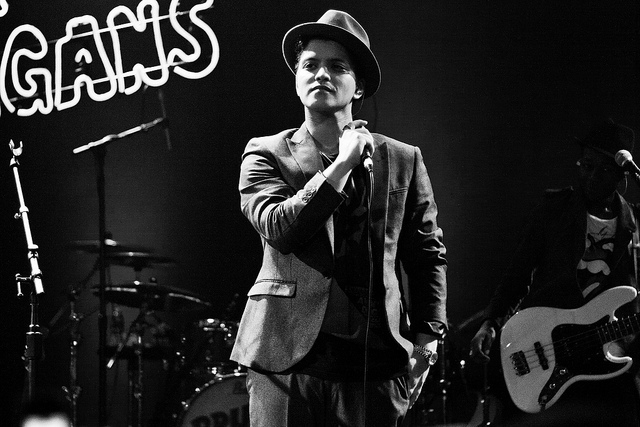 However, even the ubiquity of “Uptown Funk” doesn’t surpass the thing Bruno Mars has become even more known for in pop-culture: his ever present fedora. Artists and music icons usually have an easier time getting away with certain fashion styles, accessories, and headwear – they’re sort of expected to do and wear things outside of the norm. However, Mars effortlessly styles his hats with an array of dressed up and dressed down looks that are achievable by anyone, but it all comes down to having the right hat. 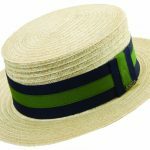 Mars seems to prefer traditional fedora shapes in either a front-pinch or center dent crown, with a rather wide brim. Here are a few styles Mars has sported and some options that will get you uptown funk-ing in no time. For this brown, fur-felt hat Mars is seen sporting here, we like the Stetson Eagle for it’s simple style, mid-length brim, and ability to wear the brim flat, or upturned. 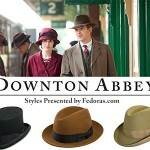 This hat is another front-pinch, teardrop shaped style that sports a bound, rather than raw edge around the brim. 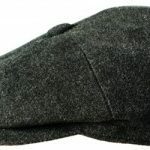 The stingy brims on hat such as the Kangol Litefelt Player are generally worn turned up around the head. Another staple of Mars growing hat collection is this black, wool-felt hat with plain lines and a center pinch on the front. We like the Dobbs Fur Felt Dayton for its wide-brim and simple, raw-edge brim.